Kingman is a sprawling highway town that has grown along Interstate 40 and US 93. It’s a hub of northwestern Arizona’s Mohave County and a gateway to Hoover Dam and Las Vegas 100 miles away. 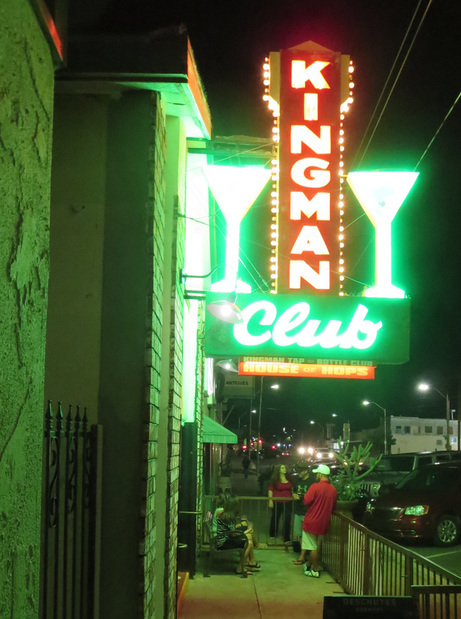 High-speed travelers may not see much to their liking passing through Kingman but those who venture down Route 66 into a perked up downtown will find attractions worth a look and surprises. factors for Kingman. 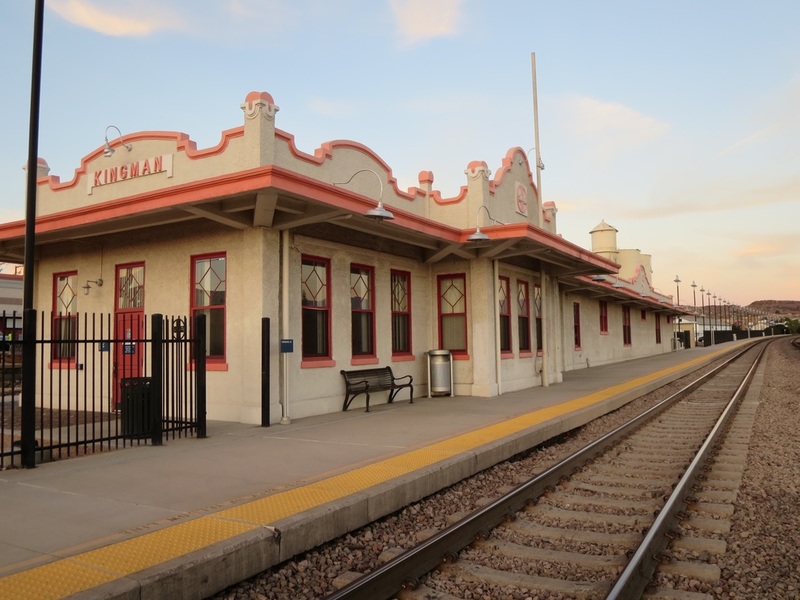 Amtrak’s Southwest Chief rolls through twice a day, stopping at the attractive Mission Revival depot, built in 1907, by the Atchison, Topeka and Santa Fe Railroad. 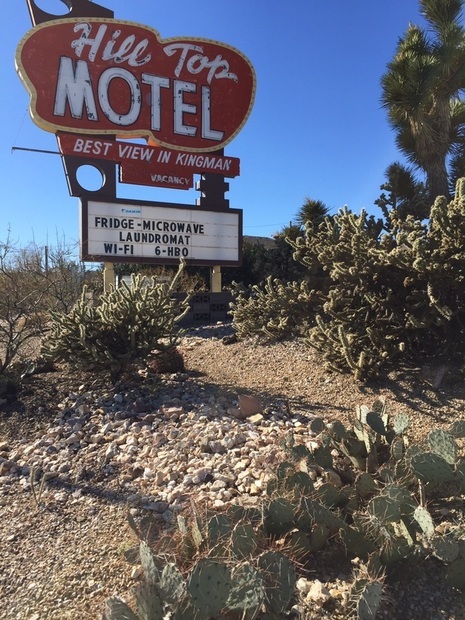 Kingman’s Andy Devine Avenue or Route 66 features the 1906 Beale and 1909 Brunswick hotels. Neither is operating but both present an opportunity for renovation that would add unique hotel rooms to the chain motels that dominate in Kingman. Kingman still has many historic properties downtown from the early 20th century that have been nicely renovated. 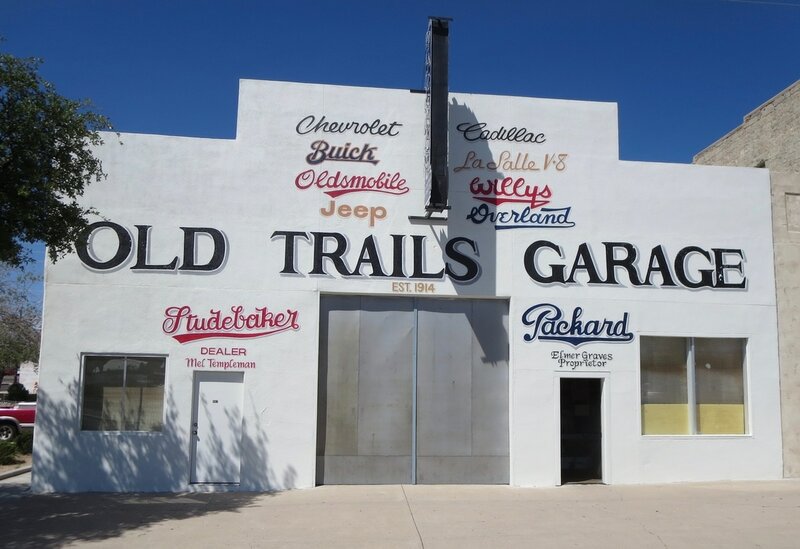 Elmer Graves, a longtime Kingman gas station owner, has refurbished the Old Trails Garage on Route 66 with historic signage. He worked at the garage, changing tires and parking cars as a teenager. He’s in his early 90s now and still works fixing up the garage near the Brunswick and Beale hotels. Mr. D'z Route 66 Diner with diner food and pies is popular with cruisers along Route 66 downtown. Beale Street, a block north of Route 66, is developing a hip vibe. Diana's Cellar Door Wine Bar is in a nicely renovated building. 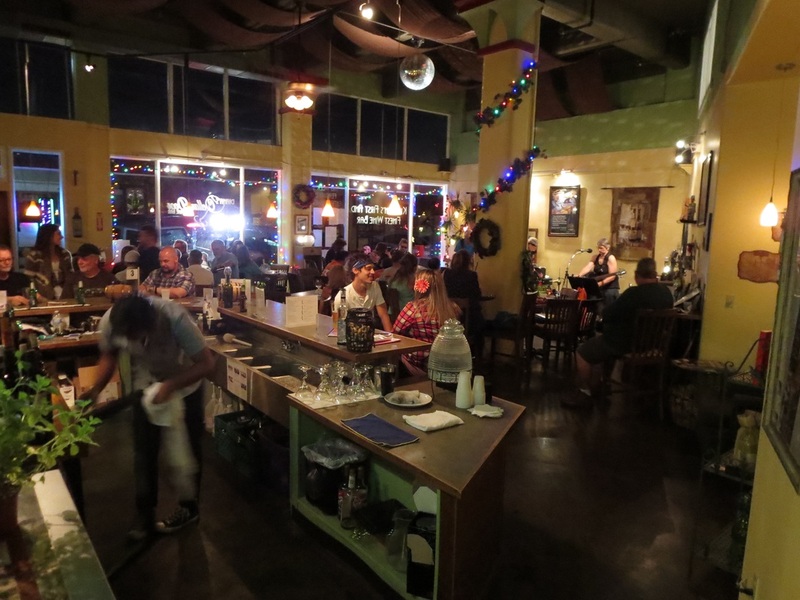 It’s a comfortable venue for live music with wine and craft beers. Floyd & Co. next door has good barbecue and wood-fired pizzas at modest prices on Beale Street. Don't miss the House of Hops on Beale Street, which features more than two dozen craft beers and a vintage Kingman Club neon sign flanked by gleaming cocktail glasses. There’s other classic neon on Route 66 at the 1939 El Trovatore Motel and the 1954 Hilltop Motel east of downtown. 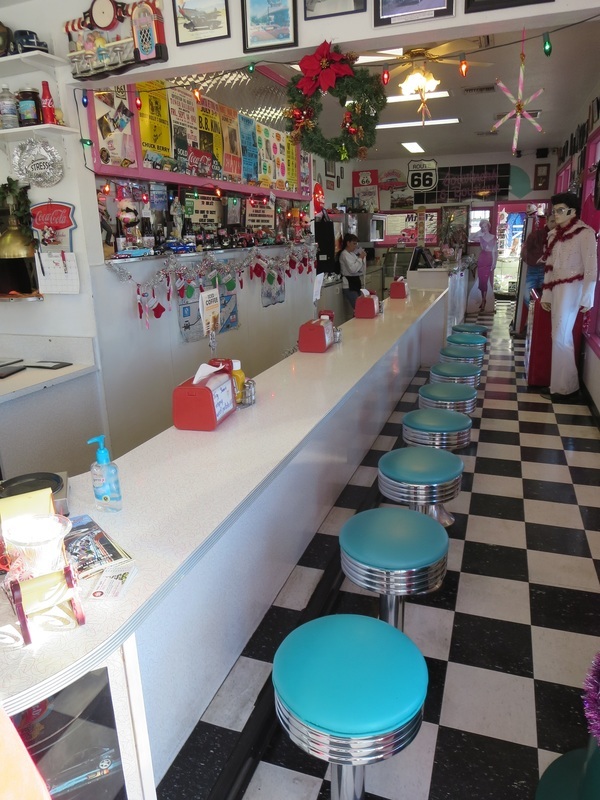 Grab a stool and a piece of pie at Mr. D'z Route 66 Diner. Kingman embraces its ties to Route 66 with car shows, an annual Route 66 rally and other events. Learn more about the highway’s history, and the Old Trails Highway that preceded it, at the Powerhouse Visitor Center or the Mohave Museum of History and Arts. Better yet, buzz up a crooked old section of Route 66 to Cool Springs and Oatman, about 30 miles to the southwest. Eastbound travelers can travel the longest remaining stretch of Route 66 through Antares Point, Hackberry, Valentine, Truxton, Peach Springs, Grand Canyon Caverns, Seligman and Ash Fork. It’s about 75 miles to Seligman and another 25 to Ash Fork on the Crookton Road, a former stretch of Route 66. 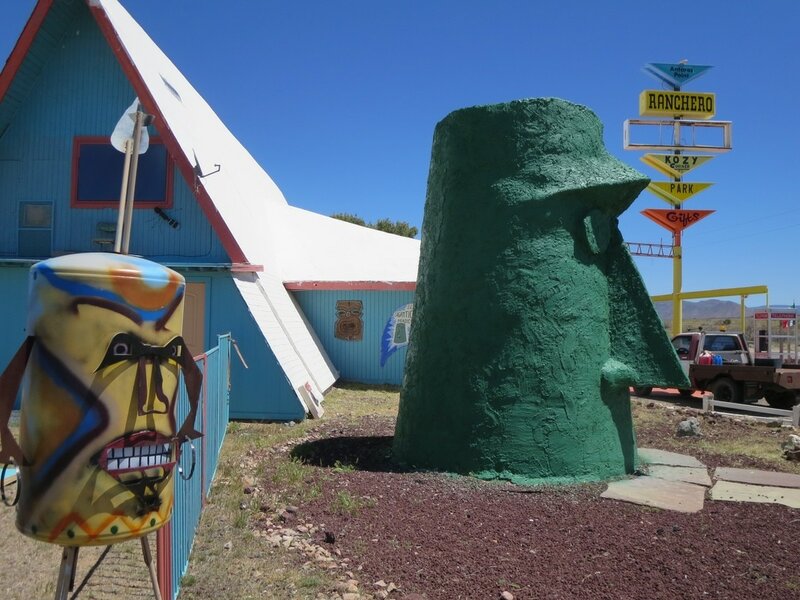 There are lots of quirky roadside attractions like Giganticus Headicus at Antares Point just east of Kingman and road ruins along this lightly traveled section of Route 66. 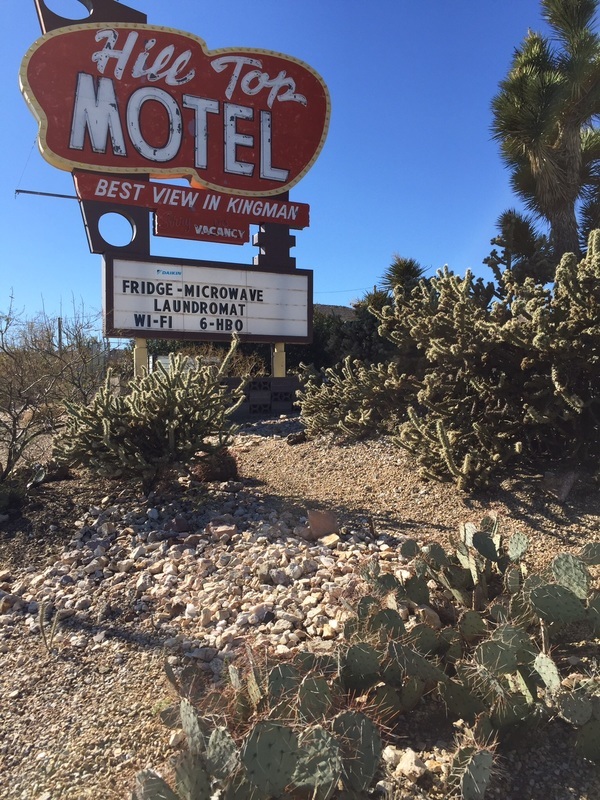 But Kingman has the widest choice of lodging and restaurants in northwestern Arizona. One other surprising attraction for Kingman is the Hualapai Mountain Park, with hiking, camping and cabins in the pines above 5,000 feet and at least 10 degrees cooler than in town. Elmer Graves, 92, (below) worked at the Old Trails Garage in his teens. He has restored the 1914 building to look like it did more than 70 years ago. Kingman's train depot, built in 1907 by Santa Fe Railway, houses a railroad museum. Amtrak's Southwest Chief stops here twice a day. 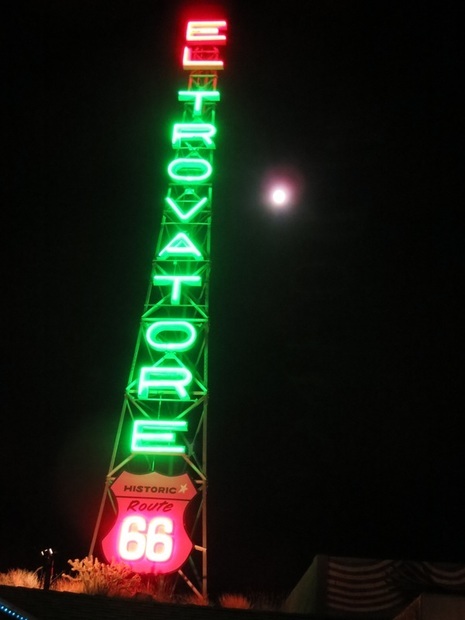 El Trovatore, a 1939 motel, has vintage neon. Crosby, Stills & Nash stopped to shower here. House of Hops added this iconic sign in 2015.
Who knew Kingman had a wine bar in this historic Beale Street building? Antares Point east of Kingman is known for Giganticus Headicus.